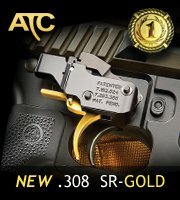 Brownells adds a Nitride Coated, Magnetic Particle Inspected BCG to their 308 Bolt Carrier Lineup. The bolt carrier group comes in at a cost of $169 which is lower than name brand phosphate coated 308 AR Bolt Carrier Groups. 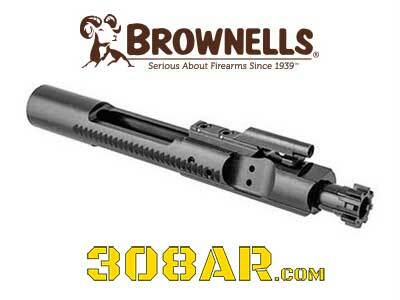 Brownells 308 Winchester, DPMS/SR-25 Pattern, Complete Bolt Carrier Group with Nitride finish, featuring Magnetic Particle Inspected, 9310 Bolt. 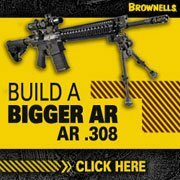 Brownells complete 308 Bolt Carrier Group includes all the components necessary to drop into your 308, DPMS/SR25 pattern AR and start running. The black nitride version offers a superior finish, which provides excellent corrosion resistance, while retaining lubricity. All components are properly machined & heat treated, with the heart being the 9310, Magnetic Particle Inspected Bolt. This testing ensures that the bolt is free of defects, and the 9310 steel will hold up to the harshest shooting regimen, especially the powerful 308 Winchester, 7.62x51mm NATO or other variant cartridges.